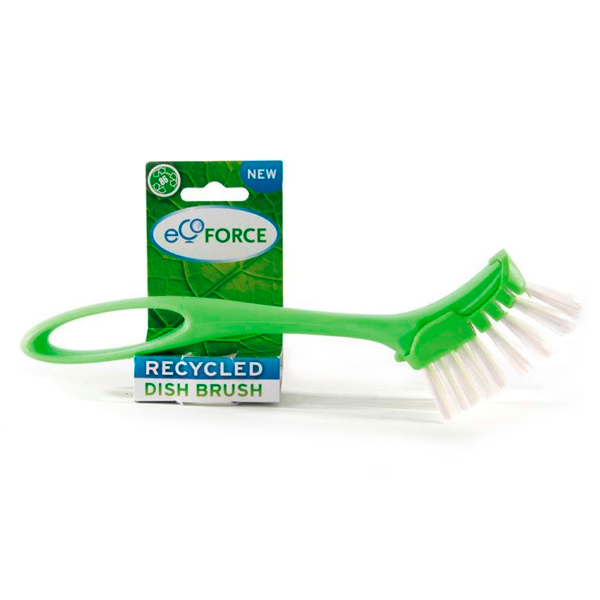 EcoForce Recycled Plastic Dish Brush with Handle - eco products that work every day made from recycled materials. These are greener, more sustainable and more environmentally friendly than the alternatives currently made from virgin materials. 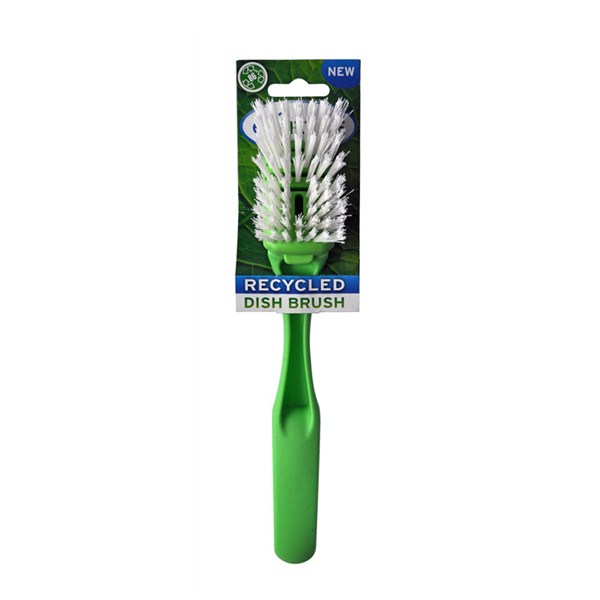 Brush and Handle made with 86% recycled plastic (Polypropylene (PP) recyclable and has the number "5" as its resin identification code) and packaging is made from 100% recycled paper. Each product made from recycled plastic and recycled paper. 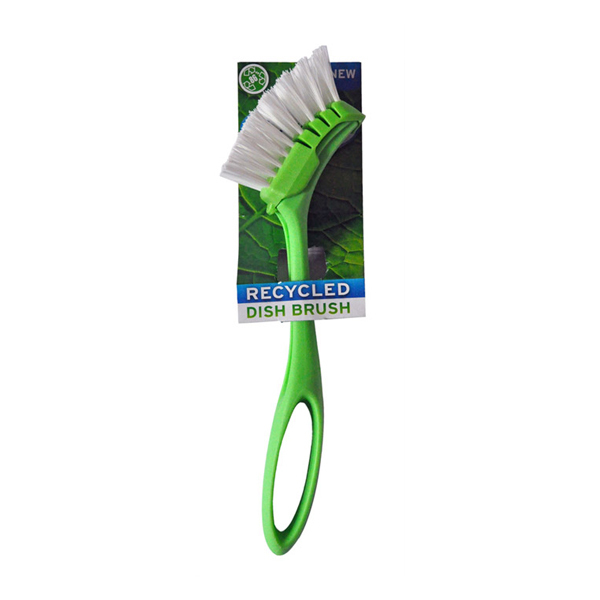 Each brush come with so durable and strong bristles that would not wear out easily, and is designed to work with most pans, pot and cookware. This dish brush will clean your pot and pans perfectly whilst protection your hands and nail from detergent and hot water. Brush will get softer with use. Works with most cookware, simply hold it tight and start to clean.